As 2016 draws to a close, we would like to present activities and outcomes from Renewable Cities’ second full year of operation. Over the past year we have brought together and supported local government, civil society, private sector, and academic partners through nearly 20 dialogues and events in Canada and around the world. 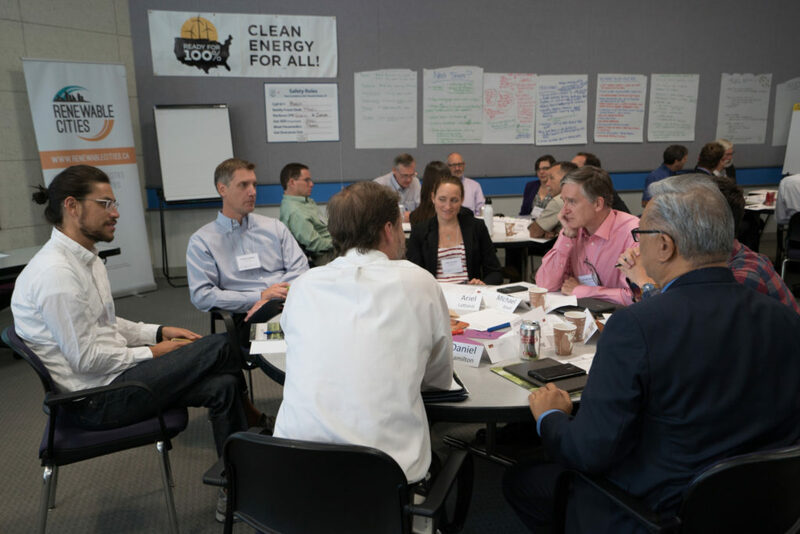 We have also contributed a number of articles and submissions to provide thought leadership and guide policy-makers in supporting cities to achieve their energy ambitions. 2016 also saw plenty of movement on RE, including some of the world’s largest companies transitioning to 100% renewable electricity and 48 countries making the aspirational pledge to move to 100% renewable energy at COP22. Not to mention local governments pursuing ambitious energy transition strategies. In North America alone, a wide range municipalities have advanced their commitment towards 100% renewable energy. In Canada, British Columbia’s capital city of Victoria adopted a 100% RE by 2050 target while Oxford County, Ontario put the finishing touches on their first energy transition strategy. Our home city of Vancouver moved forward on its Renewable City Strategy by passing a Zero Emission Building Plan and the Electric Vehicle Ecosystem Strategy. Held the first gathering of North American cities on 100% RE. 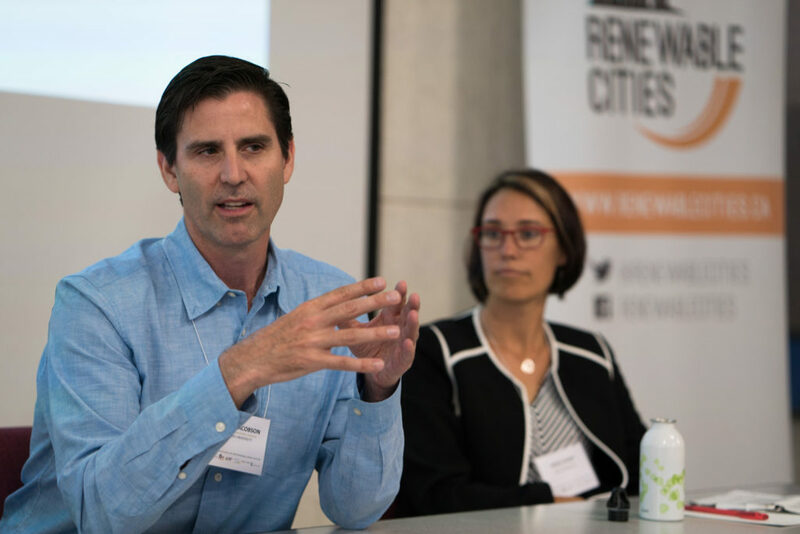 In conjunction with the Sierra Club, ICLEI USA, and the City of San Francisco Department of the Environment, Renewable Cities brought together 20 local governments from around the USA and Canada to learn and share ideas on how to transition to 100% renewable energy. See the final report and other resources here. Co-convened five events around the world, including the Renewable Energy Challenge and Zero Emissions, Big Business at GLOBE2016 in Vancouver; a deliberative dialogue at Sustainable Energy Options for Saskatchewan; Saanich Municipality’s “Pathways to 100% RE” town hall; and “100% RE for 1.5C” at the UN climate convention at COP22. Undertook thought leadership and mobilized best practices by presenting at eight events, from Alberta to Brazil to British Columbia to Germany to the United States to Norway. Contributed three articles and op-eds including to Worldwatch’s State of the World 2016, UNEP’s OurPlanet, and the Vancouver Sun. Provided guidance to policy-makers in Canada by making submissions to British Columbia’ Climate Leadership Plan and the Canadian Government’s climate consultation. Laid the groundwork for our next signature event – Global Learning Forum 2017, which takes place next year. From the team at Renewable Cities – we would like to thank our community in partners for an exciting and fruitful year! We would also like to acknowledge our core funders for their support, including the North Growth Foundation, Sitka Foundation, and Simon Fraser University Centre for Dialogue. See you in Vancouver at Forum 2017!